Selecting finishes is everyone’s favorite part of a rehab – it’s when things finally start coming together and your vision becomes a reality. While much of the house is still in full throws of rehab, the kitchen demo is complete and is finally ready for a little love. We’re still bouncing around ideas for flooring and backsplash, but my wife took a quick trip to the local granite supplier to pick out the countertops. Granite was the first finish we selected as it will dictate our backsplash and flooring selection. In that the existing cabinets have a natural oak finish, my wife select a rustic granite with hints of cream, beige and brown. Doesn’t it blend perfectly with the cabinetry? You’d think she’s done this before! Given the granite selection, my wife suggested we go with a darker floor covering and simple and light backsplash. I agree! We don’t have anything in mind just yet, but will be heading to TileShop to make our selection. They have such a diverse product offering (much better than Home Depot or Lowe’s) and their prices are similar, if not better. 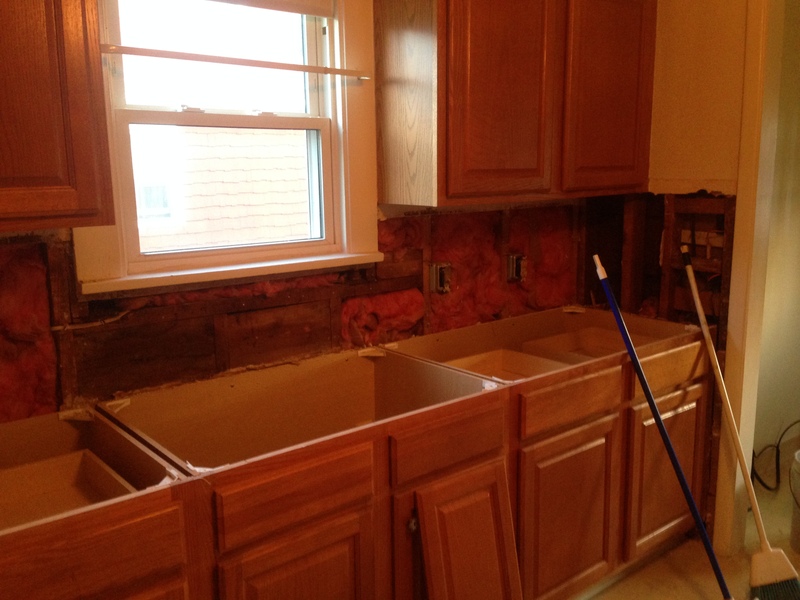 Kitchen Update – Demo Complete! Construction is well on its way in all corners of the rental property – from stripping wallpaper in each of the eight rooms and hallways, demoing the waterlogged walls in the basement, interior waterproofing and most notably, rehabbing the kitchen! To keep within budget, my wife and I decided to keep the existing cabinets. 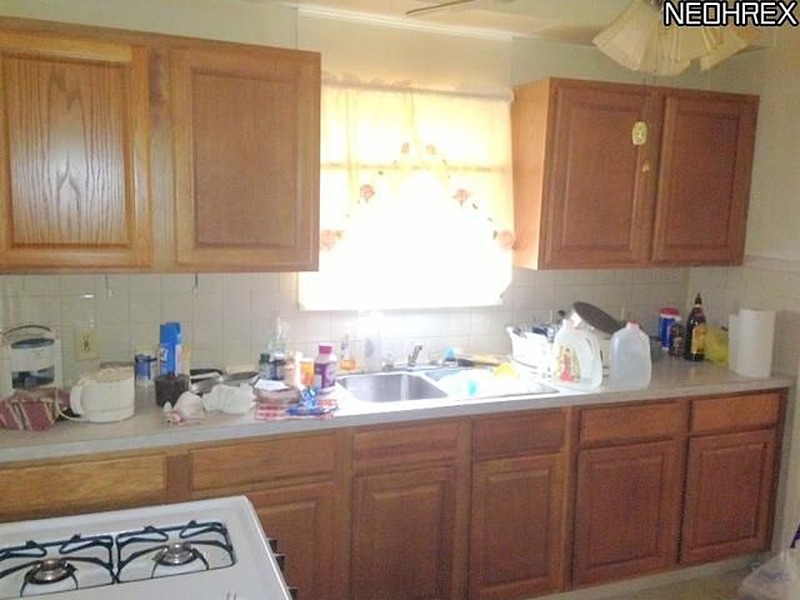 While we originally wanted to replace them, the cabinets are in tremendous shape and are only a few years old. We’re optimistic that new flooring, cabinet hardware,backsplash and colorful granite will be sufficient to give this kitchen the updated look it deserves. We just wrapped up demoing the existing square white (beige?) tile backsplash and removing the old countertops. Next step is to install drywall and select our finished – the fun part! We’ll be sure to keep you in the loop!